Bitcoin transactions are not reversible. We can neither send it nor receive it without having any access to both public and private keys. A Bitcoin wallet lets us transact our resources and also keeps our keys secure. As we cannot rely on the inbuilt Bitcoin security system, we need to implement a multi-step security system for ourselves. An active connection to internet is the only requirement to access all your online wallets. And the physical electronic devices, which secure your bitcoins are known as hardware wallets. The online/software wallets can be easily downloaded to your operating device, such as cell phone or tabs or etc. While, the paper wallets can be used offline. They are the Bitcoin private keys printed in a paper. The best thing about a hardware wallet is that, it keeps your funds safe from hackers. Ledger Nano does the same. 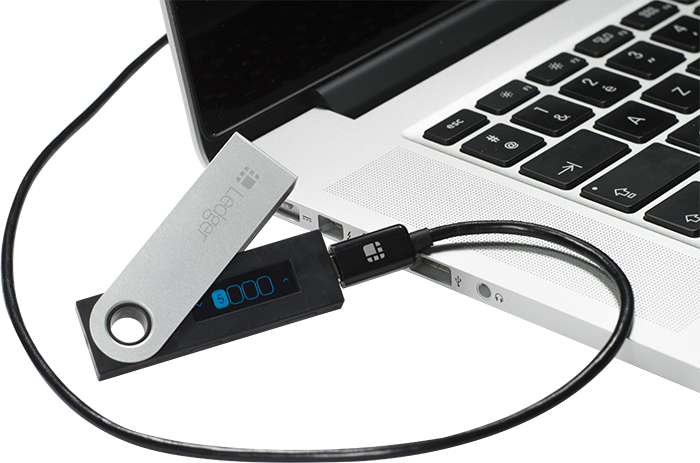 Bearing a cost of just $65, it is a cheaper hardware wallet available in the market. The new version, Ledger Nano S, also comes with a small display which provides an extra layer of security for your transactions. 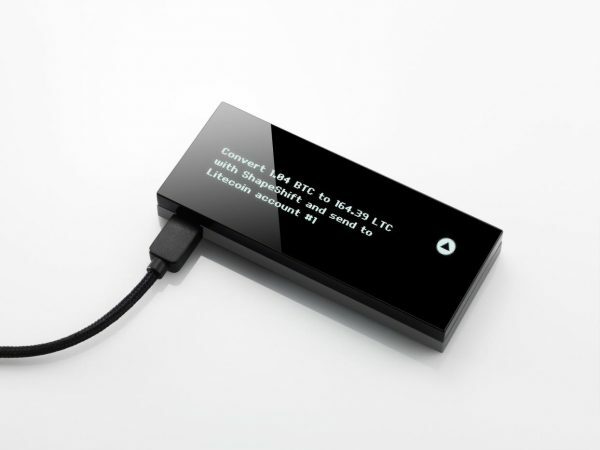 Multi-currency support: Ledger Nano S supports Bitcoin, Litecoin, Ethereum and Altcoins. You can hold different assets in the same hardware wallet. Multi-application support: Use companion apps such as cryptocurrencies wallets, and also FIDO certified U2F, GPG, SSH otherwise build your own application. Built-in display: Check and confirm transactions on the display and confirm with using the physical buttons (anti-malware). Fido certified U2F: Ledger Nano S supports the FIDO Universal Second Factor authentication standard on Google, Dropbox, GitHub or Dashlane. State-of-art security: Your confidential data is never exposed. It is secured inside a strongly isolated environment locked by a PIN code. Backup & restoration facility: Your accounts are backed up on a recovery sheet. Can be restored easily on any Ledger device or compatible wallets (BIP39/BIP44). 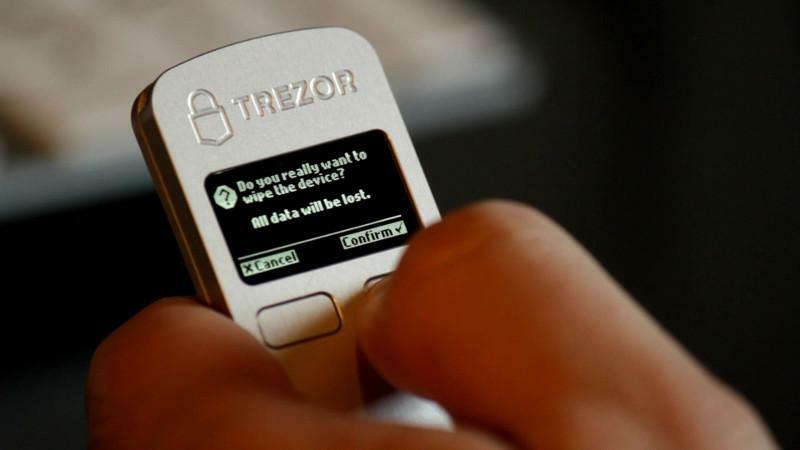 Trezor is the most trusted Bitcoin hardware wallet in the market that supports an instant set-up and registration process. Multiple currency support (BTC, LTC, NMC, DOGE, DASH, BCH). Integrated password manager (encrypts passwords). Enables 2-factor authentication to safeguard your online accounts and identities. Enabled logging in with one-click and without any password. Easily prove your ownership of messages and documents. Connect to third-party wallets and apps. Opendime is a small USB stick that allows you to spend Bitcoin like a dollar bill. Pass it along multiple times. Connect to any USB to check balance. Unseal anytime to spend online. Trust no one. The device seals your private key to prevent it getting leaked out and keep hackers away. Connects to computer or laptop. Private keys are strictly generated and concealed inside. Uses private keys in WIF format. 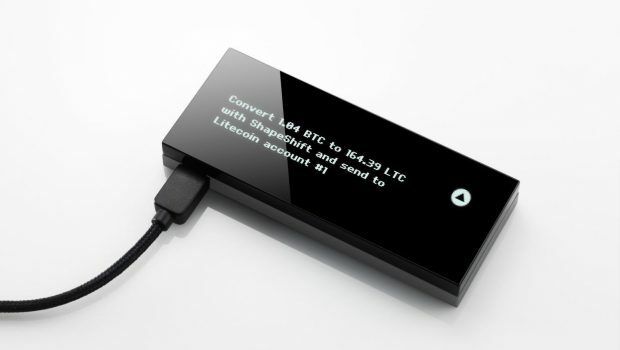 KeepKey is a hardware wallet that can secure your Bitcoin and other wallets. It is one of the most secure wallets that can be used on your computer and manage your private key generation, private key storage, and transaction signing. Built with Anodized Aluminum Case and Polycarbonate Front. Works with wallet software on your computer. Manage private key generation, private key storage, and transaction signing. Recover your device even when it is lost or stolen. Exchange between funds directly on the device using ShapeShift. Multi-Currency Support: Bitcoin, Ethereum, Litecoin, Dogecoin, Dash, Namecoin. 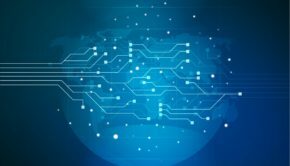 The wallet generates a private key by using its hardware-based random number generator, which is combined with randomness provided by your computer. You can take a backup of your KeepKey in the form of a 12-word recovery sentence once your private key is generated. Your private key is securely stored and your KeepKey is PIN-protected. CoPay is a secure and a open-source Bitcoin wallet online that protects your funds using multi-signatures. It can be used in PCs and in smart-phones as well. The application securely stores multiple Bitcoin wallets. 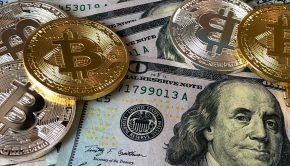 It also supports Bitcoin Payment Protocol, so that you may have successful transactions which are fully secured and the best part is that, it’s free. 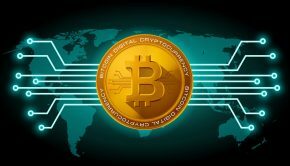 Copay is secure for saving real bitcoins. Copay is tied into Bitpay – one of the larger Bitcoin merchant facilitators. GreenAddress provides improved security to your Bitcoins and limits you from spending by limiting the transactions. The wallet allows you to login in watch-only mode via custom login and without compromising security and privacy. It supports 2-factor authentication per transaction with uncompromised protection. GreenAddress supports multi-signature and encrypts your private keys. Meanwhile, they make it insignificant to view and transfer your funds. Supports quick login in ‘watch-only mode’ via custom login. Never stores your private keys. Generates a new address per transaction. Easy paper wallet backup via BIP39 mnemonics. Hardware wallet support such as Ledger, Trezor, and KeepKey. With enhanced security, you can seamlessly transfer funds with public WiFi networks, and even check your balance without logging into your wallet. Each and every transaction made from your wallet will generate a new address every time and make it tougher for people to read your previous and future transactions. It’s a long list of features for a free application. MyCelium securely stores your Bitcoins and lets you manage multiple accounts. This app has been awarded as the ‘Best Mobile App’ wallet in 2014 because of its ability to trade Bitcoins while benefiting from bank-grade security. 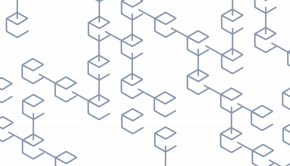 MyCelium enables you to create backups at one place using a master seed to derive future Bitcoin addresses consecutively. Available for Android and iOS platforms. Gives full control over your private keys. Lets you manage multiple accounts and never reuse the same addresses. Watch-only addresses and private key import for offline storage integration. Use the Local Trader feature and find other Bitcoin traders in person. Supports external tools and services like Ledger, Trezor, KeepKey, etc. MyCelium uses an open protocol called BIT ID that allows secure authentication and single address accounts, allowing you to securely store huge funds by erasing the private key from the device, and importing it back when required. It also supports integration with major services and tools like Trezor, Ledger, Cashila, etc. Not only this, your chats will also keep encrypted using your Bitcoin keys. And it’s totally free. Airbitz is one of my favourites. 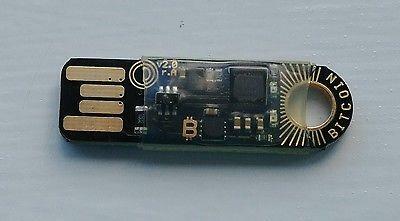 It keeps your Bitcoin keys encrypted and protected from malware. This prevents any 3rd party to access your data and money, and you get full financial privacy. It’s HD wallets change addresses per transaction. 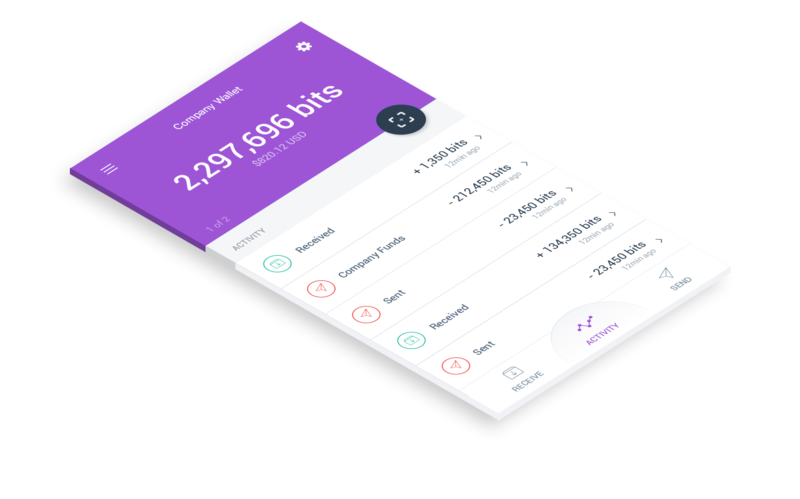 Airbitz limits your spending with the help of a PIN or password, and your wallets will work with the help of its decentralized server architecture even if the Airbitz servers are down. Supports both Android and iOS platforms. Automatic encrypted wallet backup to redundant peer-to-peer cloud servers. HD wallets with changing addresses per transaction. Supports 140+ currency exchange rates. 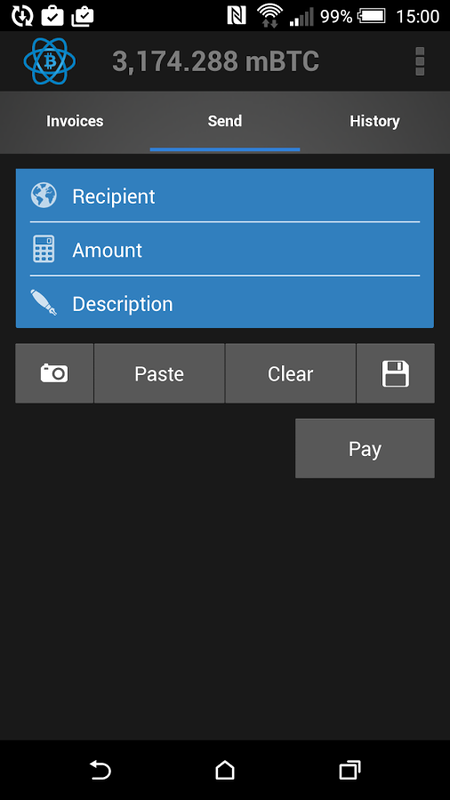 Instant 2-tap UI to transfer funds between wallets. It works even when Airbitz servers are down (Decentralized server architecture). Airbitz enables you to instantly switch accounts with username drop-downs. You can also sync multiple devices, and use multiple wallets per account. 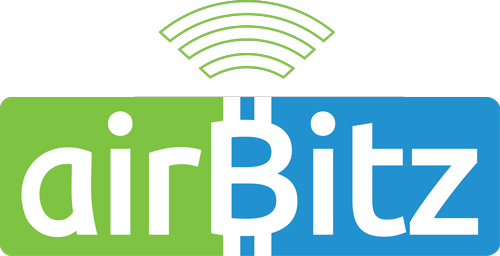 Airbitz supports more than 140 currency exchange rates and allows paying with QR codes. It also includes an inbuilt calculator to view the current exchange rates. It is one of the outstanding free wallets available. Electrum encrypts your private keys and supports 2-factor authentication with Electrum and Trustedcoin. It signs your transactions from an offline computer and broadcast them in a device that never stores your private keys. 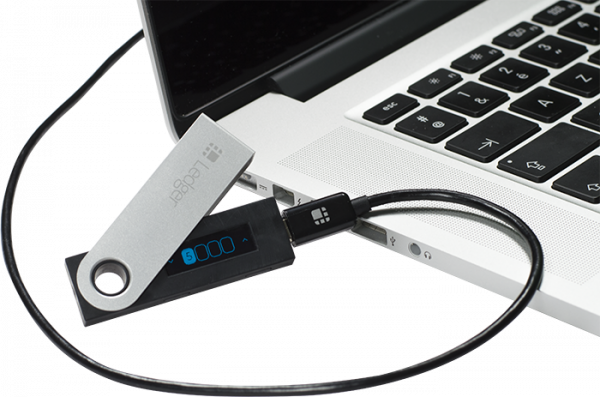 It supports the popular hardware wallets such as Trezor, KeepKey, and Ledger. Moreover, it supports various devices, using the command line interface. Export your private keys and use them in other Bitcoin clients. Keep your private keys in cold storage. Recover your funds from a secret phrase. Supports third-party plugins and hardware wallets. You can split permission to spend your coins between several wallets. It ensures that your transactions are within the Bitcoin blockchain. Electrum is free software which is released under the MIT License. Not only this, it verifies that your transaction history is using SPV (Simple Payment Verification). It supports Android, Windows, Mac, Linux and is absolutely free. Now I hope it will be easy for you to determine the best Bitcoin wallet. 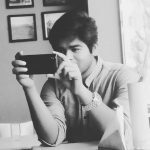 Gaurab Singha Roy is a web content writer and blogger at bihog.com. Technology and Investment are the major areas of his expertise. Apart from this he is a Chemical Engineering graduate. Follow him on Quora and Facebook.